When it comes to dying my hair I used to be wild-er when I was in college. 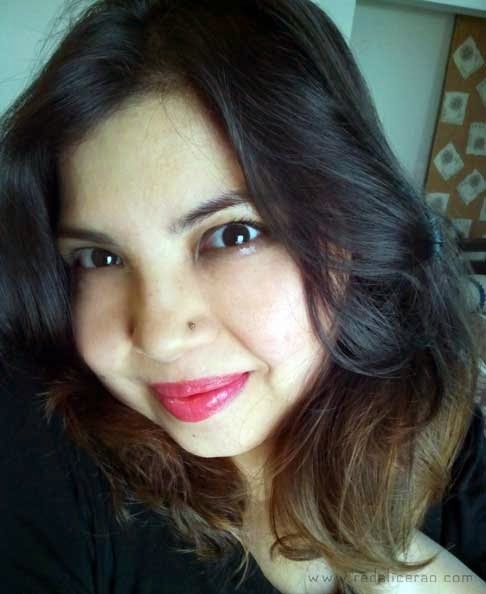 I have tried purple, reds, blues and oranges but nowadays, as far as hair color is concerned, natural with a hint of edgy is better. 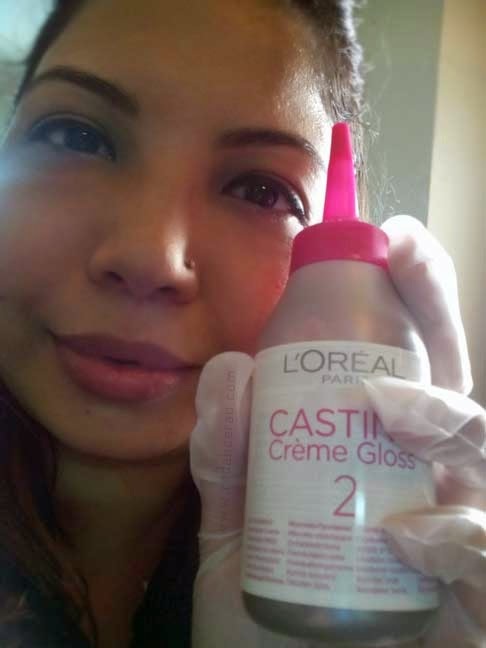 The new Caramel Range from L'Oreal Casting Creme Gloss was quite tempting. I was looking for a shade to compliment and subdue the Ombre I had and this shade, Maple Caramel, literally landed on my lap. This is not the first time I have used this product. I have reviewed it's brown Color HERE. 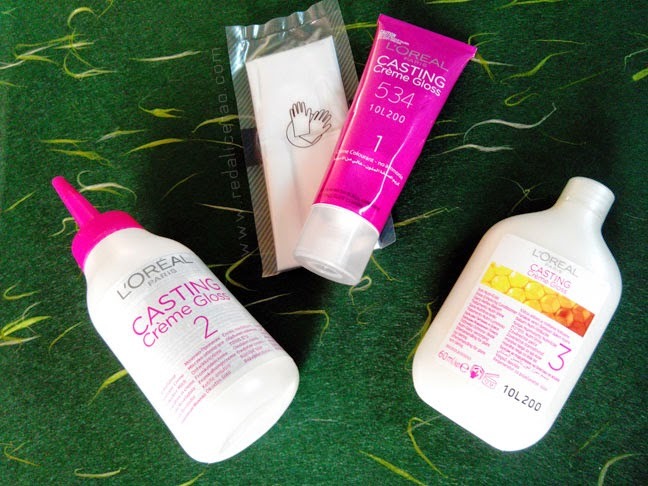 L'Oreal is one of the brands I trust so I end up buying or trying a lot of it's various Products. "Fudgy Caramels - Naturally Warm up deeper browns with Golden or Copper tones. 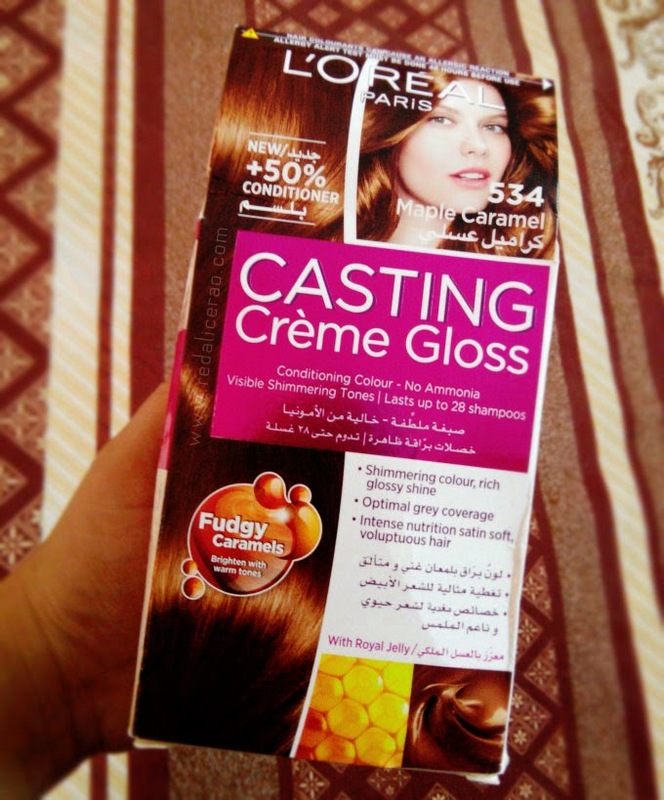 Casting Crème Gloss is designed to give your hair a natural looking colour with shimmering tones. Your hair colour will not change drastically but you will get a glossy shine with a tinge of colour. 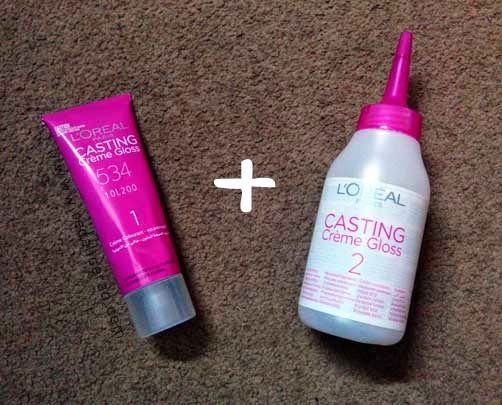 Also, Casting Creme Gloss lasts 28 hair washes." Always do a patch test in case of allergies (mentioned how-to in the leaflet) and apply some Vaseline around the face neck area which you want to avoid from the color. 1. First WEAR your gloves. You don't want to hand up with Caramel Hands! 2. Take the Tube of Creme Colorant (Marked 1) and squeeze all of it into the Developer bottle (marked 2). I love the pungent yet sweet smell of these developers. yum! 4. Make sections of your hair starting with the lower layer and start applying from the roots and spreading outwards. 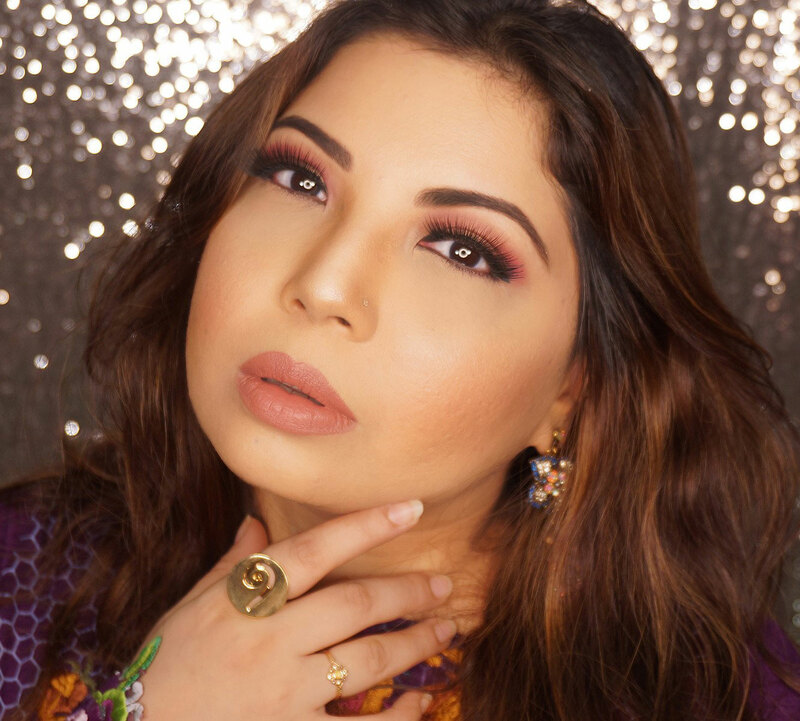 You can first massage the color in and spread with hands and after applying to all of the hair you can brush or comb from root to tip to evenly spread color. 5. I had ombre so just wanted some depth and gradient therefore I only applied to top layer of my hair till the Ombre. 7. Rinse out color and then further wash with Royal Jelly Conditioner (marked 3) and you are done! 8. Let your hair shine for the next 28 washes and SMILE! I was really happy with the results. 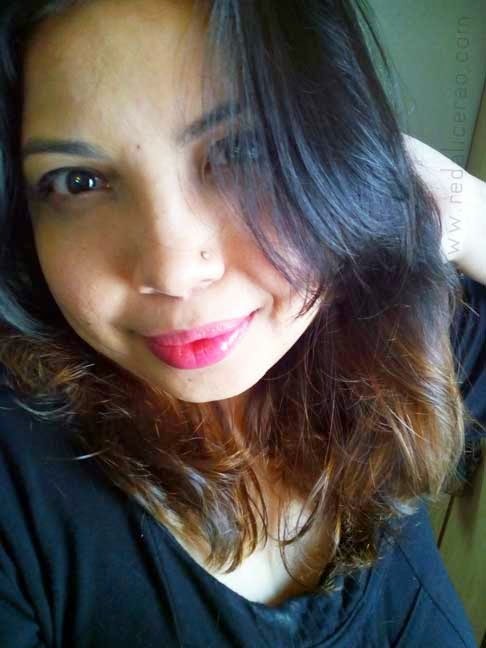 The color didn't do a drastic change, rather lightened the hair a bit with a beautiful copperish shine which made my Sombre look good too :) I am seriously LOVING the end results and you can see it for yourself below <3 Definitely delicious looking hair! What color are YOU Planning for your hair? The color looks great on you and your hair is shiny and has full of body Maliha! I also used to color my hair when I was younger but I was not as "game" as you as I skipped orange, purple and blue.